Kodak EasyShare C875 Digital Camera Software Driver, Firmware and Share Button App for Operating Systems. This firmware version improves the performance of the camera. User’s guide. (Updated: 17.11.2018). 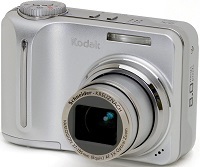 KODAK EasyShare C875 Mac Firmware – Download (2MB). , and filed under Digital Camera and tagged c875 download, easyshare c875 firmware, kodak c875 driver, kodak c875 firmware, kodak c875 software.